This cooktop has something for everyone. 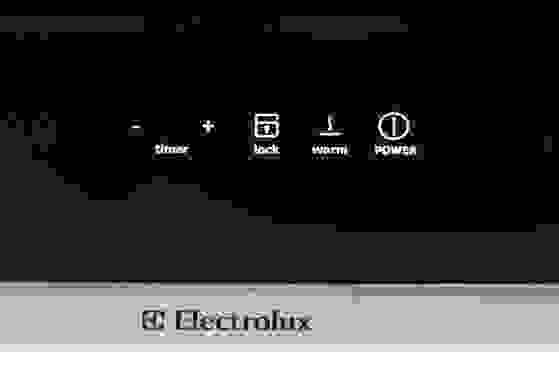 The Electrolux EI30EC45KS is a 30" electric cooktop (MSRP $1,299). The EI30EC45KS features four elements, one of which is a Flex-2-Fit that has three adjustable sizes. We were impressed with the induction version of this cooktop when we reviewed it earlier this month. So we were curious to see how the Electrolux EI30EC45KS did in comparison. Well, we will spare you the suspense by saying that the EI30EC45KS is an awesome cooktop by any standard. It combines sleek appearance with some truly staggering performance. Some may be turned off by the atypical design and high price-tag, but rest assured that beneath the calm exterior resides a beast of an appliance. 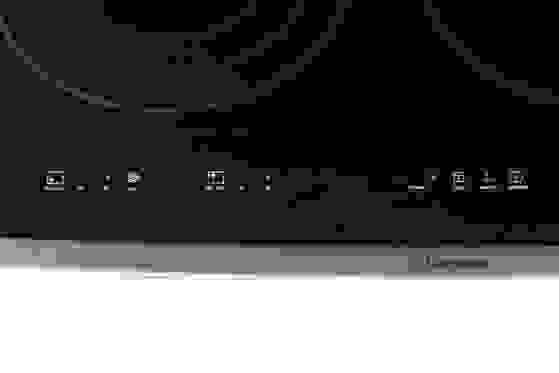 At first glance, you'll note that that the Electrolux EI30EC45KS lacks physical dials. Luckily, the touch controls are responsive and exhaustive. Unless you're an analog die-hard, you shouldn't have a problem with them. While the EW30IC60LS induction cooktop is still superior in the design sense, the EI30EC45KS, unlike the induction model, should have no trouble fitting into everything but the most traditional of kitchens. The Electrolux EI30EC45KS features one Flex-2-Fit element. As previously mentioned, the EI30EC45KS controls are incredibly user-friendly. The EI30EC45KS uses a touch interface exclusively, with a dedicated control panel for each burner. The elements can be set to Lo or Hi with the single touch of a button, while the Flex-2-Fit elements has a single button to cycle among sizes. The EI30EC45KS also features all the settings you'd expect from a modern cooktop, including a timer and a lock to protect the youngest youngsters from any mishaps. Blown Away: The rangetop that knew no limits! While we're a bit torn about the EI30EC45KS's design, when it comes to performance there can be no doubt that in every regard the EI30EC45KS is an awesome cooktop. it offers speedy boiling times and a vast range of temperatures. In our boiling test, the EI30EC45KS's front left and front right elements blasted through 48 oz of water in only 4 minutes. The back left and back right burners, while slower, still managed to keep up with the big boys, taking 12 and 15 minutes to boil 48 oz of water. The front elements were clearly the victors in the water boiling test, but the simmer burners held their own. If the exceptional water boiling wasn't enough, the EI30EC45KS displayed an amazing range of temperatures to boot. It seems almost pointless to differentiate between elements since we got similar results, regardless of whether we tested the Simmer or Flex-2-Fit element. We recorded minimum temperatures of 86ºF with an average of 87ºF. We also recorded maximum temperatures of 752ºF, with an average of 724ºF. Even the smaller rear burners reached temperatures as high as 676ºF and 588ºF. The Electrolux EI30EC45KS has an impressive range of temperatures. Some may balk at the price: even we think $1,299 is pretty steep, but with minimal searching we were able to find prices as low as $1,008. Some may dislike the lack of physical controls (I know I did! ), but after spending some time with the effortless touch controls, thoughts of clunky knobs will be all but forgotten. 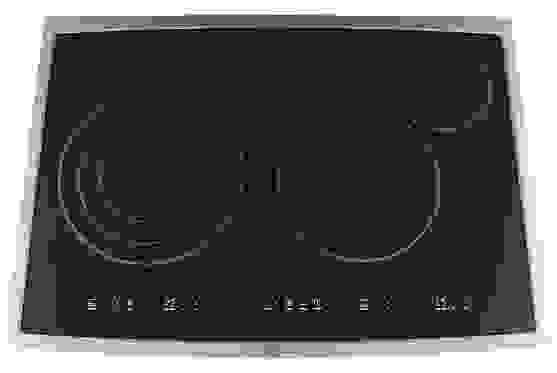 Some may prefer something less modern and more traditional, and they should steer clear of this cooktop. For everyone else, the Electrolux EI30EC45KS is a great choice. Multitasking parents will love the fast boil times and safety conscious controls, while those who simply enjoy the act of cooking will appreciate the wide range of temperatures. So does the Electrolux EI30EC45KS justify its price? The numbers have answered that question. Engaging some of the lesser used functions, like Sabbath mode, require timed button presses.